An ekphrastic poem is one in which the poet describes a scene or, more often, a piece of art. 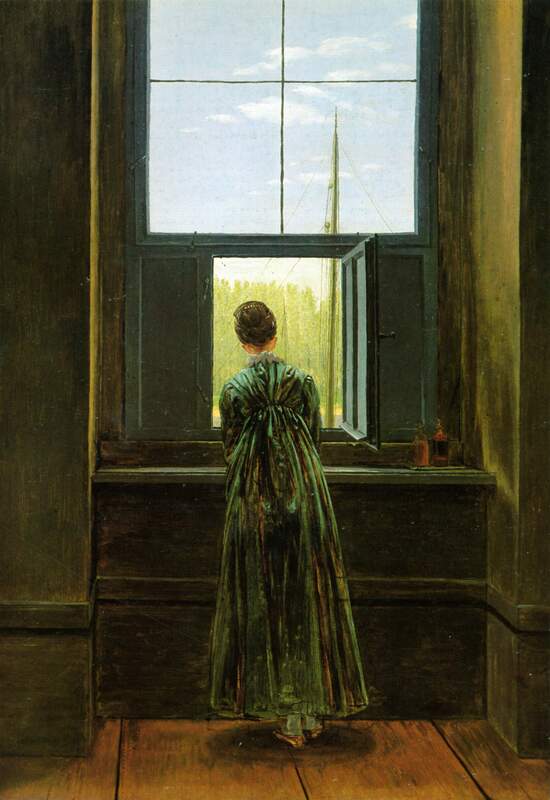 In this case, I chose to relate in my own words the painting “Frau am Fenster” by Casper David Friedrich. Like ships on the sea. She whispers into the glass. Limp against her anxious frame. Atop her crown in practiced reverence. Her shoed feet glued to the floor planks.